Bloggers spend hundreds, some even thousands of hours yearly creating and updating blog posts on their website. What are the top bloggers doing that make their posts stand out from the rest? 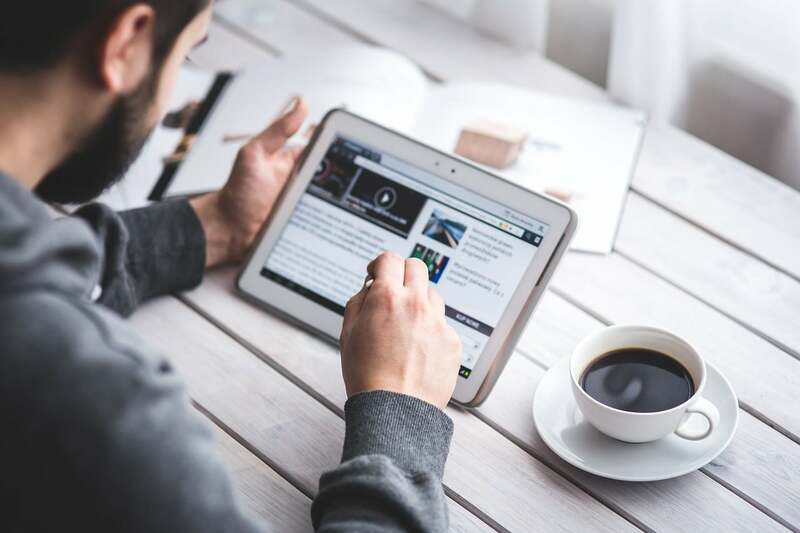 Is it simply spending more time on blogging or is it investing time in building up their audience? 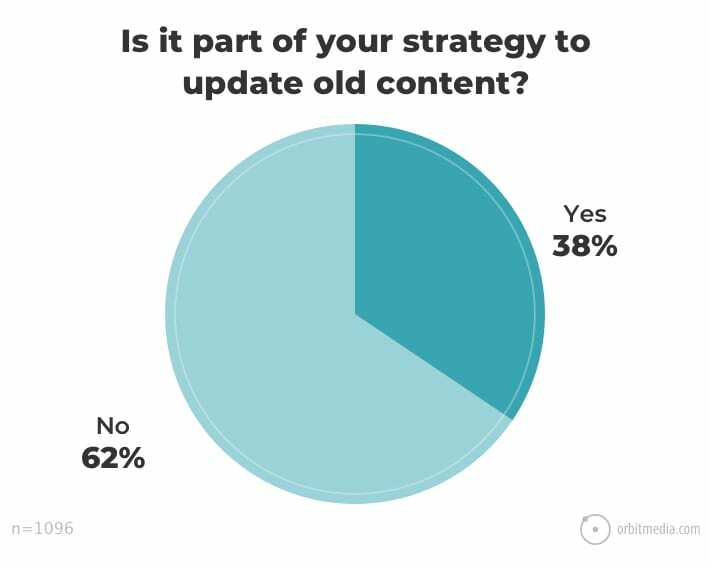 To try and find out, Orbit Media surveyed over 1,000+ bloggers to find out what the most successful bloggers are doing to create interesting and engaging content. Currently in it’s 5th consecutive year, they survey is one of the most comprehensive on the subject of blogging and shows industry trends and how they have changed since 2014. 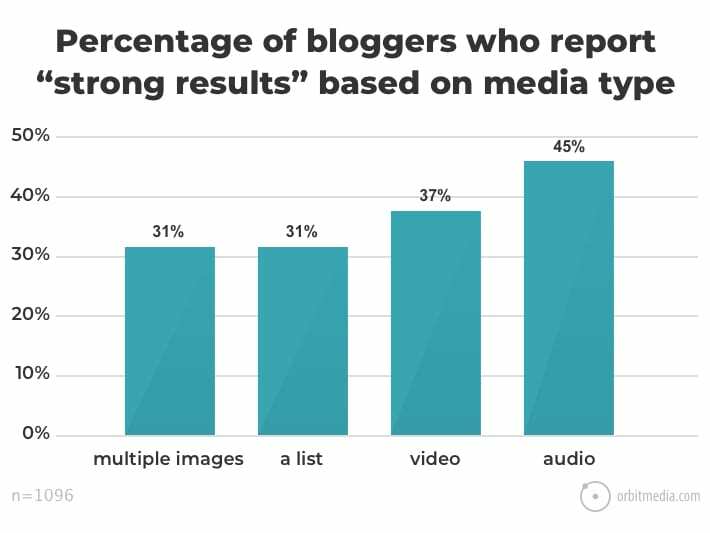 The big takeaway from the survey is that the most successful bloggers tend to do things differently than the majority of other bloggers. Let’s take a look at how. This section will cover the very basics of blogging including the length of the typical blog post and how much time bloggers spend on each blog posts. 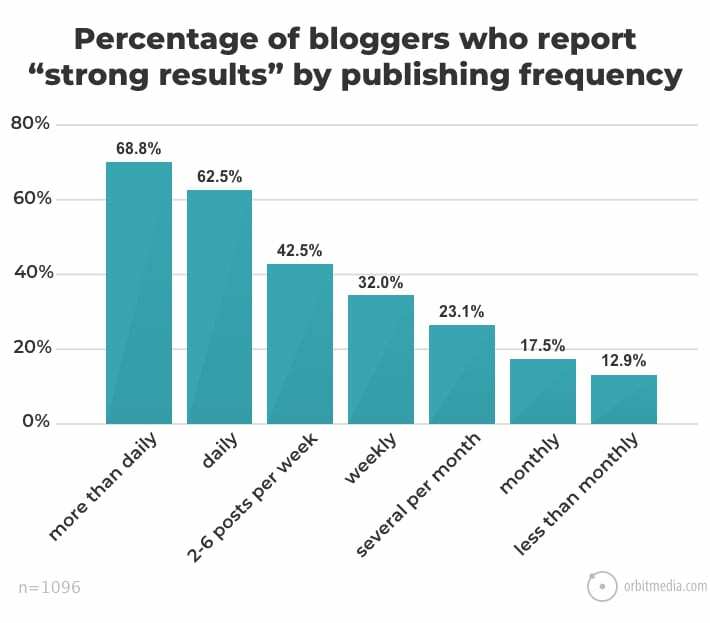 We will also look at how often bloggers are publishing content on their blog. 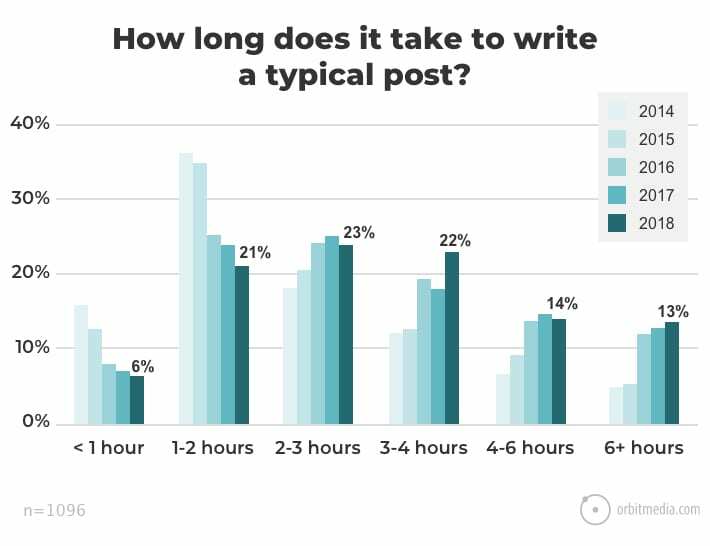 The survey found that the average time it takes to write a blog post is nearly 3 and half hours. That number has risen by almost 50% since 2014. 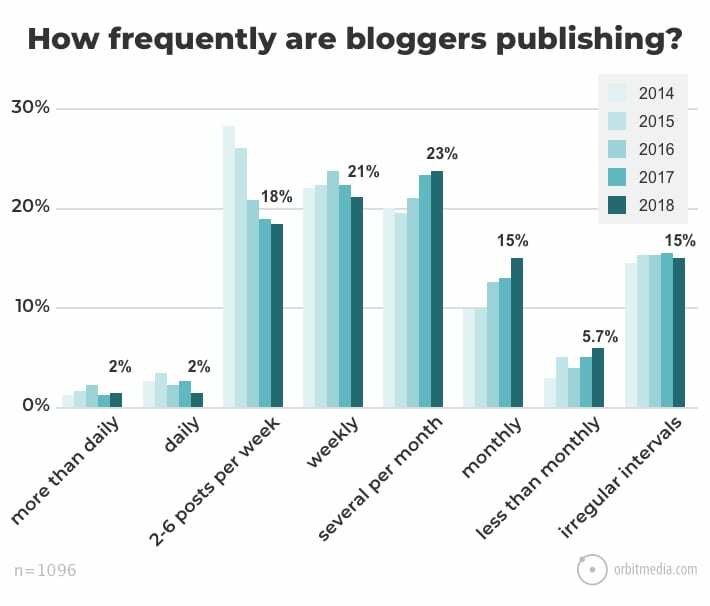 The data shows that most bloggers are working harder and spending more time on each individual blog post. 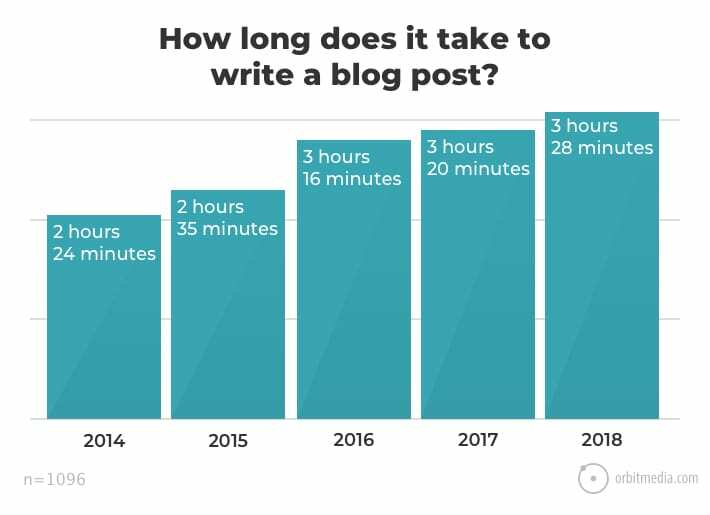 The average blog post takes over 6+ hours to write in 2018. 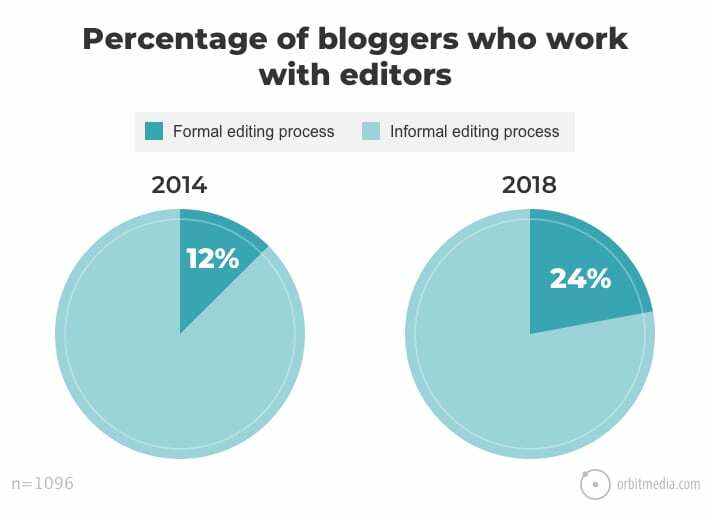 As it turns out that additional time spent in creation is paying off for most bloggers. 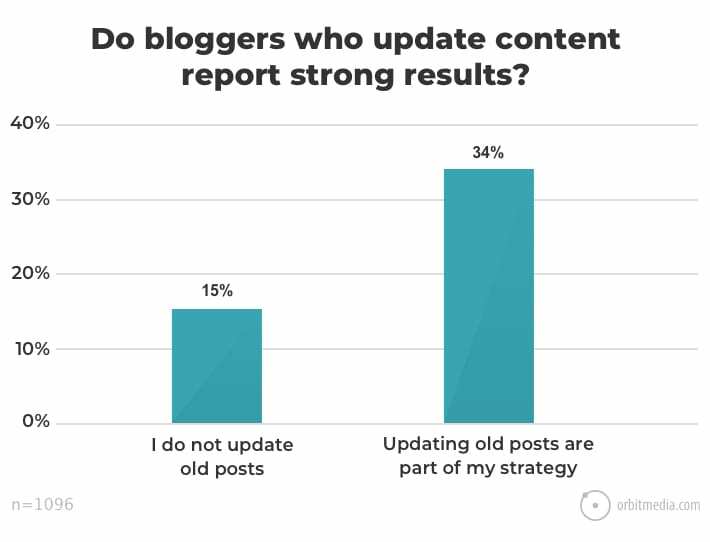 Bloggers who are spending over six hours on a blog posts are way more likely to report positive results than those who do not. 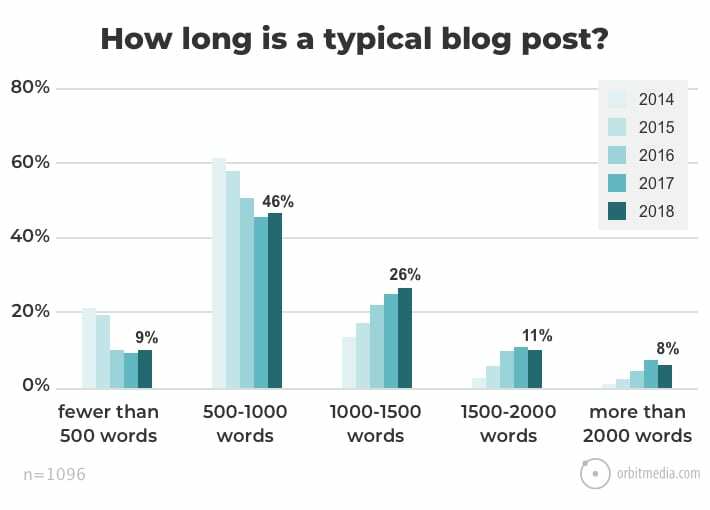 The typical blog post is also getting longer in length. 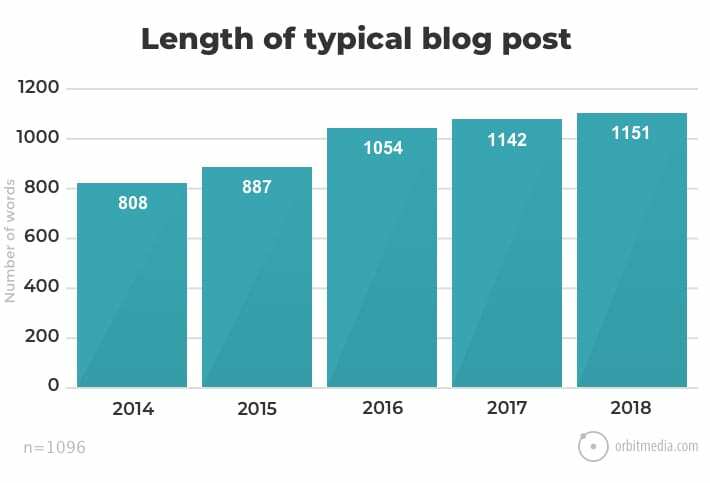 The typical length of blog posts in 2018 is nearly 1,200 words. 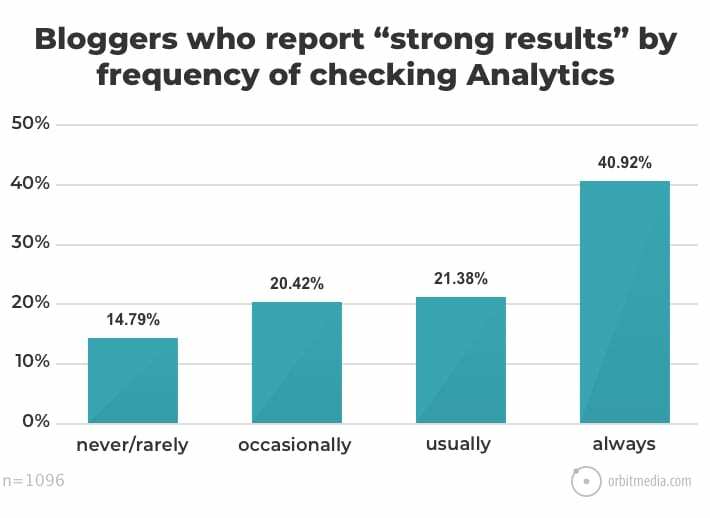 For blogs that are over 2,000 words, bloggers report stronger results than those under 2,000 words. 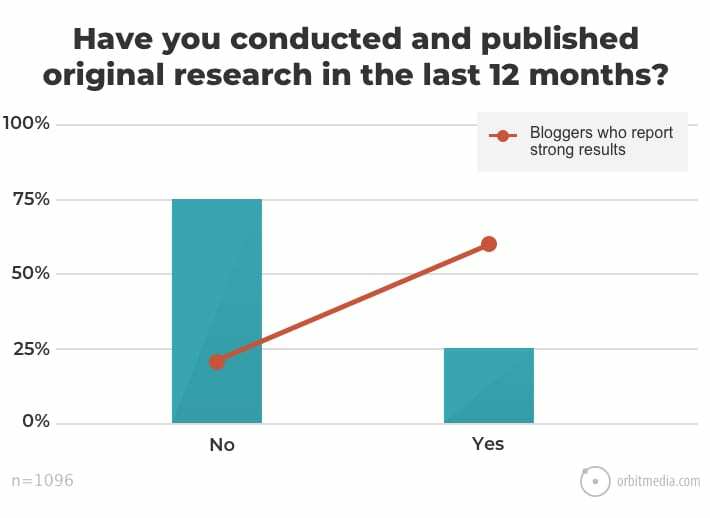 The surveys trends show that long form content is both on the rise and providing great value for bloggers. 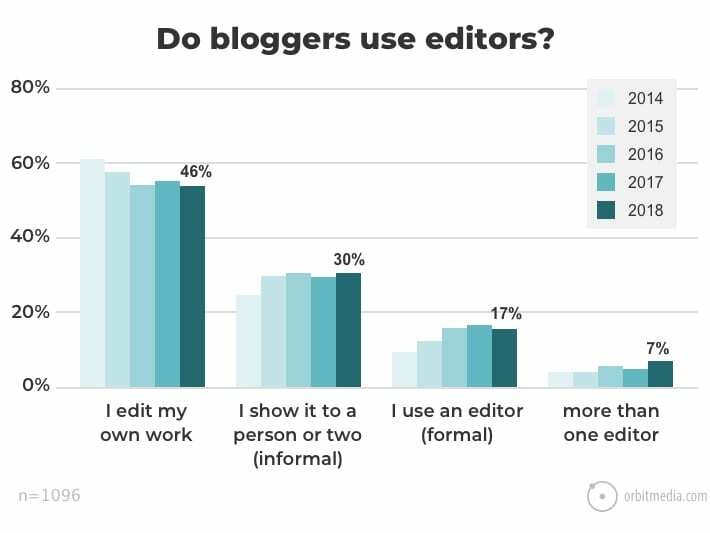 This section of the survey looked at whether or not bloggers are using editors, whether or not bloggers are updating older blog posts and if bloggers are using analytics to check the performance of their blog posts. 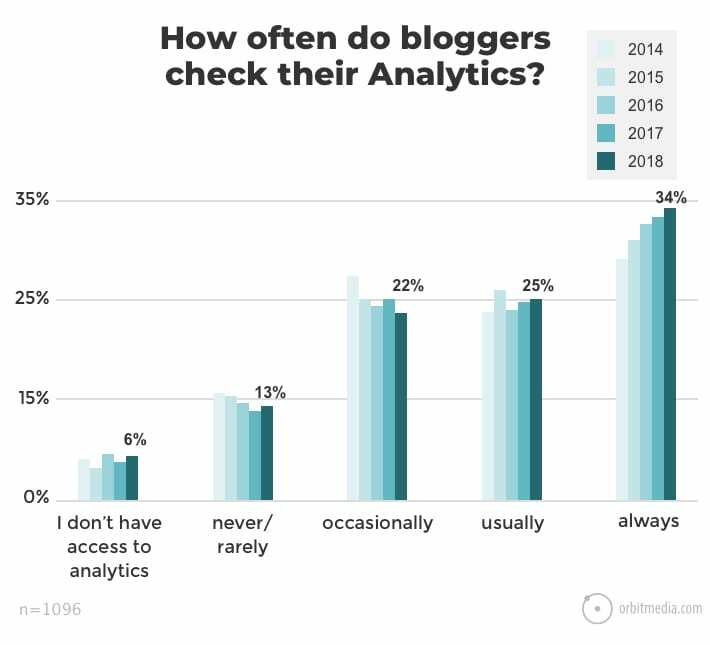 This section looks into the what types of media bloggers are using in their blog post as well as whether or not original research is helpful for blogging and what types of promotional strategies bloggers are using to amplify their content. 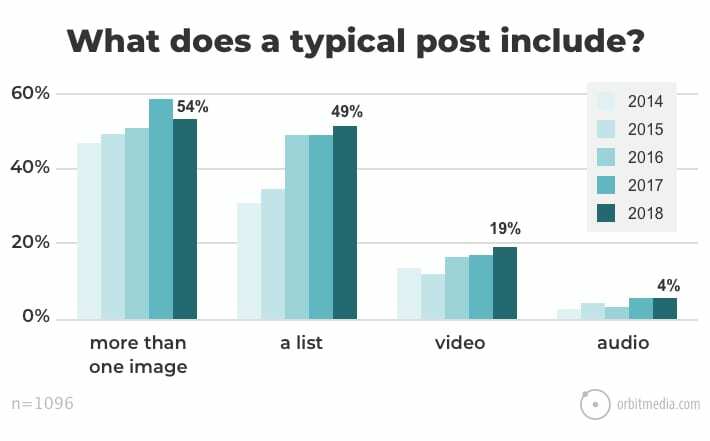 Most bloggers are using at least one image in their blog posts and nearly half also include a list or listicle in their post. 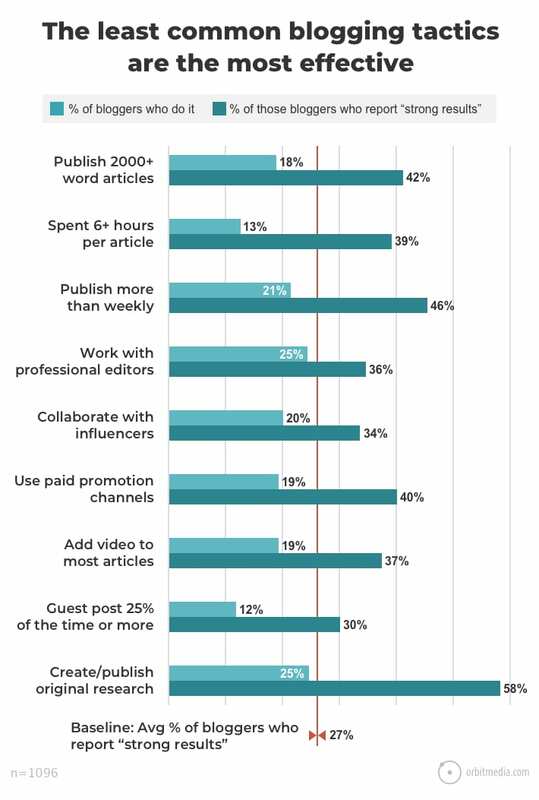 Bloggers who use either influencer marketing or paid promotion are far more likely to see strong results than those who do not. 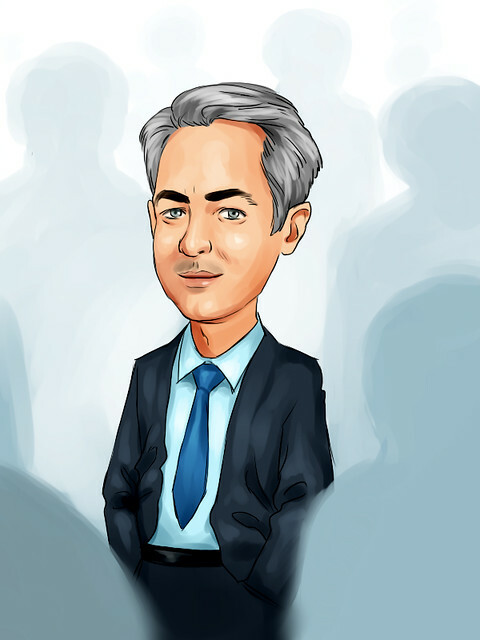 The full report from Orbit Media can be seen here.